Since second grade, Mr. Messina knew he wanted to teach in a school. Mr. Messina is a literacy coach at Morgan. He is also a senior class advisor. He works with students one-on-one who need extra help with reading and writing. He earned his undergraduate degree from Central Connecticut State University, his master’s degree from Southern Connecticut State University, and his 6th-year degree from UConn. Mr. Messina’s first teaching job was at St. Martin de Porres Academy in New Haven where he taught 5th through 8th grade. This included reading, social studies, religion, and mathematics. Whenever Mr. Messina enters a room, he brings his positive and upbeat attitude with him. You can often hear his hardy laugh during lunch while he’s joking with Mr. Gerz. Senior Max Hurtubise has advisory with Mr. Messina and shares “I like Mr. Messina because he’s a really practical guy. He’s really giggly, but if you have a serious problem, he will find a solution.” So next time you see Mr. Messina in the halls, give him a wave. He’ll make sure he gives you an even bigger one back. 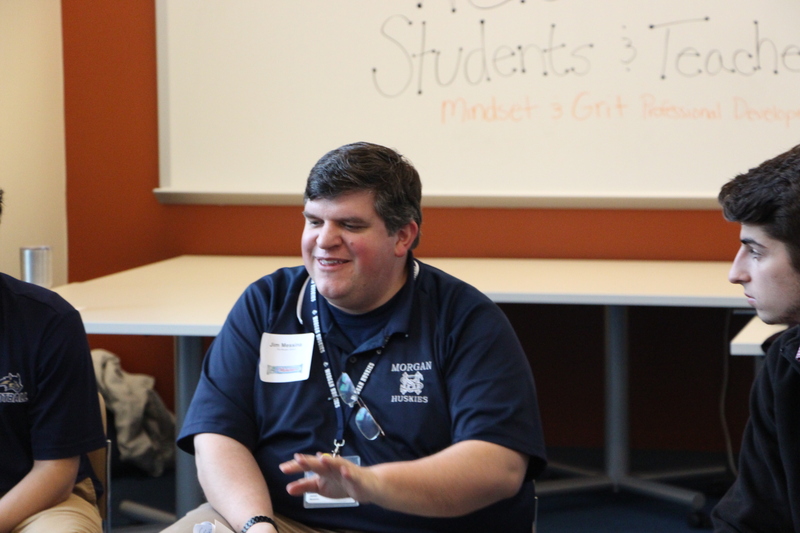 One thing Mr. Messina wants to add is “When an opportunity comes your way, take it no matter how small it may be.” Through a simple Facebook message, Mr. Messina found a position here at the school and applied for the job and we can’t imagine a Morgan school without him. Wow, it’s crazy how a form of social media can get someone such a fantastic job at a fantastic school! !